Last week's big U.S. publishing industry news was that by the end of this month, Borders Group will either be bought by another company and continue in business or shut down for good. I'd just like to take a few minutes to reflect on what this means for us as readers and consumers. So many people, since the Borders bad news began, have reminisced about their favorite branch of the chain, or the first time they visited a Borders and were thrilled by its huge selection combined with what once felt like personal service. Those days may or may not be over, and readers aren't going to pay attention to things like business deals and stock prices. But readers do pay attention to supply and demand. Let me put this another way, that is, anecdotally: where I grew up, there was once what many believe was the first "superstore," combining everything from bakery to a restaurant, hair salon, flower shop and liquor store. People came from hundreds of miles away to shop there due to its novelty, and returned again and again for the convenience. So why is it defunct? Because no store can do everything, and even when one does lots of things correctly, as other shops start to improve their business models (new restaurants take root, a great dress boutique opens, a new bookstore steals business from the "Books and Stationery" department), everyone knows what's coming. 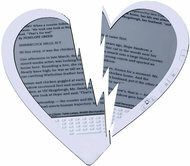 "I had one good pickup line, and e-readers ruined it." --Lisa Lewis in the New York Times, lamenting that when men are reading books on e-readers in public, she can no longer see what they're reading and say, "I love that book!" Alan Cheuse has compared Bonnie Jo Campbell with D.H. Lawrence, which means that serious fiction fans will want to pick up her new novel, Once Upon a River (W.W. Norton), if only to discover whether they agree with Cheuse. We think that once you've cracked this book's cover, you'll discover many more reasons to follow the story of teenager Margo Crane, who embarks on a Huck Finn-like odyssey after her father's death, carrying along on Michigan's Stark River little more than a few essential supplies and a book about Annie Oakley. Mark Twain's The Adventures of Huckleberry Finn: All right, this one's not a "might," but a "must." Thing is, Margo's journey will actually have you running back to Twain's great picaresque tale so you can compare hers with Huck's. Campbell has done the neat trick of borrowing without stealing from an American master. 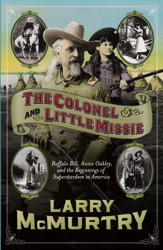 Larry McMurtry's The Colonel and Little Missie: Buffalo Bill, Annie Oakley, and the Beginnings of Superstardom in America is another great American author's nonfiction account of two Wild West icons. Margo Crane's devotion to "Little Missie" will seem both eminently understandable and disturbing. Peter Geye's Safe from the Sea tells, as Once Upon a River does, a story of Michigan waterways, but focuses on the stormy shores of Lake Superior and the tempestuous relationship between a sailor father and his estranged son. It's a much smaller story than Campbell's and a great contrast to it. 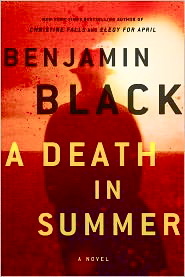 Mystery writer Benjamin Black hates summer. "It just seems to me a boring season," he said via telephone from Ireland. "I like to be indoors. I don't like heat, I don't like seaside, and I don't like holidays. Work is more fun than fun to me, and a holiday-less year would be just fine. I like to work." That's why Black tries to write one book each summer, which sounds like a leisurely, reasonable (almost summerlike!) schedule, until you remember that Black is actually the Booker Prize-winning novelist John Banville, who admitted, "I never stop working. If I stopped, I'd fall of the edge of the world." When speaking with Black/Banville--or is it Banville/Black?--it's not easy to ascertain which persona is doing the talking, a dilemma complicated by the fact that the author admits that Black's protagonist Garret Quirke is of a piece with him. "I get confused constantly between Quirke and Black," said--Banville? "They're physically the same person, or at least I consider them so. In the early days of my writing the Black books, we had the idea that, because I was ambidextrous, that Black would even have a different signature than Banville. That never really flew, which is a good thing because I'm no longer ambidextrous!" 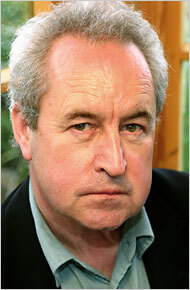 Ambidextrous or not, Banville/Black clearly has his hands in many projects. The one we're discussing currently is the latest Benjamin Black novel, A Death in Summer, just released today from Holt. In this Quirke story, the Dublin pathologist gets involved in the murder of rich newspaper tycoon Richard Jewell--and then becomes further involved with Jewell's widow, the French and elegant Francoise d'Aubigny. The genesis of the Black books came back in the early spring of 2005, when Banville went to stay with a friend in Tuscany. "I'd finished The Sea [his Booker-winning novel of 2004] the previous September. I sat in my room on that bitterly cold morning, and by lunchtime I'd written 1,500 words. It was great fun to discover that I could write fluently and swiftly. Banville, you know, scratches away. He would be glad to get 200 words written." Black said his speed isn't because crime fiction is easy, but simply a matter of contrast. "There are ways, and there are ways, of getting down to the deeps, you see. Banville's way is to concentrate and concentrate and concentrate and go into a kind of waking sleep, a sort of controlled dreaming, while Black's way is to stay close to the surface. You can swim on the surface and see the deeps, after all. Sometimes we forget that as we walk through our lives, everything we experience is through surfaces." For Benjamin Black, crime fiction is based not on violence, but on secrets. "When someone has a secret and keeps it, that means that it has to be buried very deep--and people with secrets betray themselves in tiny ways, through tiny movements, many of which are what we call 'superficial,' although I don't believe that that term should have such a pejorative meaning." He gives the example of A Death in Summer's Francoise d'Aubigny, who makes a small gesture during a lunch with Quirke that tells a very big part of the story, and that involves child molestation. "You see, no one then talked about these things, and I would not give my characters the benefit of my hindsight. Of course, that's not to say people didn't abuse children in those days--they did, often using the odd phrase 'interfered with.' You could know and not know at the same time." "We allowed it to happen. It is such an insult to the victims to say 'How could that have been going on?' " Black has harsh words for the church of his childhood. "Catholicism is so cabalistic that the poor wind up as the unelect; it's deeply hypocritical. Yet I was so deeply indoctrinated into it that I still flinch with a kind of awful respect if I see a priest coming towards me. We were exactly the same as the East Bloc countries--in place of a political party we had a clerical one." Black noted that Ireland was behind for many, many years. "In Ireland, the 1960s didn't arrive until the 1980s. I remember coming back home from time in the United States, and it was like returning to a different world, a country that was still stuck in the 1940s. It was a monolithic society living in a kind of permafrost." When asked about nostalgia, however, Black sighed happily. "Well, you know, horrendous systems always have an aspect of them that is good! For example, in Prague and Budapest behind the Iron Curtain, you could go to an excellent concert for about $1.50. The cultural life was superb, and valued. So, yes, I feel nostalgia for the Ireland of the past, no matter how horrible the past is. However, we've learned so much since that ghastly world passed away that any time I'm tempted by its memories I look at my children and think how much better off they are." There is a moment in A Death in Summer when Quirke sits in Bewleys with Inspector Hatchett and reflects on its dreary yet comforting shabbiness. "Ah, it was a world," Black said with another sigh. "The thing about living in a primitive world like that is one only needs the very simple things, like a sit in a café or a love affair. Falling in love, in those days, was more of an intense experience than it is now for the very simple reason that life was so gray any emotion came like an explosion of color." Perhaps, with that confession, it's easier to see why Benjamin Black's favorite season is autumn. There is one thing he'd like all summer-loving, seaside-holiday-taking, backyard-tan-making people to understand: "Everyone thinks that summer is about life and growth. It's not. The growth takes place in midwinter, when everything is underground. In summer, it's all quite dead." Sadly, for Black, his next few weeks will be spent in... sunny Provence. "I can't cope with it! The sunshine confuses me." Thank goodness, for readers' sakes, he plans to stay indoors as much as possible and work on the next Garret Quirke mystery. If you're normally glued to the tube or tied to your tablet, summer might be the time you put down those gadgets and pick up a much older device: a paper book. The Wrap has a book list just for you that focuses on the stars, themes and action that you love. Cue "Strawberry Fields Forever": In Jane Austen's beloved novel Emma, a group of friends spends one day picking strawberries, the next picnicking with them on the fictional Box Hill. At least one chapter of the Jane Austen Society of North America (JASNA) will hold its own Box Hill Picnic, on August 13. The article from the Northern New Jersey Patch notes that picnicking grew in popularity in Austen's time, although the picnic scene in Emma is rather tense (Mr. Knightley scolds Emma for her rudeness to another guest). Meredith Barnes, regional coordinator for the Central New Jersey JASNA group, said, "Our version is slightly different. At our picnic meeting, we usually share something from the novel that we enjoy or will start a discussion. We eat our lunches and have dessert.... Some chapters have actually gone strawberry picking while others have a more formal tea to celebrate the occasion." While we don't need many excuses to eat large quantities of strawberries and cream, a Regency-themed outing seems a good one. If you plan to take part in a similar excursion, do let us know. Douglas Kennedy (The Moment; Leaving the World) offers up a gritty tale of lost lives, betrayal and murder set in Paris's seedy underbelly. Readers looking for a cure for the common romance need look no further. Fleeing a shattered marriage, an ill-fated affair and a brewing legal storm, disgraced film professor Harry Ricks takes refuge in Paris, but the City of Lights is no dream come true. Destitute, Harry barely manages to afford a tiny chambre de bonne alongside criminals and illegal immigrants. Financial need forces him to take a shady position as night watchman for illegal activities. Alone and embattled by suspicious neighbors, Harry spends his time dodging threats and trying to contact his angry daughter, until he meets Margit Kadar. Mature, intelligent and alluring, Margit stokes Harry's dormant passion into an inferno, and the two strike up a torrid affair. However, a catastrophic series of events soon makes Harry question whether Margit's mysterious demeanor hides a wounded heart or a sinister nature. Discover: A gritty tale of passion turned deadly in Paris's underbelly. During her lifetime, Gina Berriault never knew champions like Oprah Winfrey or the Coen Brothers who could bring recognition and renown for her talents. Instead, she quietly went about her character studies, painting vivid still lifes in language neither too spare nor too florid, both gifting and disarming readers with the simple powers of acute observation. The stories assembled in this posthumous collection bear witness to Berriault's philosophy: "Short stories and some short novels are close to poetry--with the fewest words they capture the essence of a situation, of a human being. It's like trying to pin down an eternal moment." Berriault's characters are determined, sometimes doggedly so, in the face of tragedy and despair. There is anxiety surrounding a critic's much anticipated arrival and departure ("A Dream of Fair Women"). An acquaintance struck up by a homeless visitor unravels a librarian's closely guarded universe of knowledge ("The Infinite Passion of Expectation"). A young girl, the outsider looking in, finds idyllic realization in the guise of palm trees, lawns and the possession of a piano, only to understand that her economic circumstances will never allow her to experience these "Stolen Pleasures." Berriault's characters are the faces we confront on a daily basis. Discover: The small victories and defeats that make up a lifetime. Gina Berriault tackles the indomitable nature of human existence in this collection. The basic premise of this debut novel is pure genius: Dr. Jennifer White, a retired orthopedic surgeon, is suffering from dementia. Her neighbor and best friend, Amanda, has been found murdered, with four fingers surgically removed. Dr. White can't say if she is guilty or not because she can't remember. She is, of course, questioned repeatedly by police detectives, is always cooperative, but really doesn't have any information. Or does she? Through fragments of narrative, writings in her notebook, moments of absolute lucidity and long periods when she can't even recall where she is, Dr. White leads the reader through the fractured landscape of her mind. There are frequent incursions from her children, Mark and Fiona, both with problems of their own. Dr. White is content living in her home with a caregiver, but Mark decides that the home should be sold and his mother moved to assisted living. Her dementia worsens, but she still has periods of perfect clarity, when she can recall her friendship with Amanda, her husband's philandering and incidents from family life. She is questioned frequently by one of the detectives, a woman with more than a professional interest in the case. Breakthroughs sometimes loom, then vanish into thin air. Discover: A masterfully written and satisfying novel about a retired orthopedic surgeon suffering from dementia, who may have murdered her best friend. Army brats lived a unusual existence in the 1980s, the time supposedly "between the wars" of Vietnam and Iraq/Afghanistan--but actually an era with a war all its own, the Cold War. Before the current reality of repeated deployments and existential dread of same, the main challenge of soldiers' children during that time was to dutifully follow their uniformed parents to base after base and attempt to mature amidst such rootlessness. Constance Squires was just such a "brat" and has crafted a debut novel that deftly uses fiction to tell an engaging tale of transient youth that no doubt is very close to her own. We meet Lucinda Collins in 1983, a 13-year-old girl just landed at a base in West Germany. She makes friends in a calculating way born of oft-moving necessity. A cute boy's dad set to transfer in two months? She cuts him loose to save later pain. At the same time, Lucinda is watching her parents' marriage crack. When a young private on the base shares his record collection with her, Lucinda develops a passion for music that will sustain her through the moves, the family drama and the early adulthood hardships born of her upbringing's particulars. References to music groups and artists like Echo and the Bunnymen, Nina Hagen and the Minutemen, along with vivid descriptions of the West German club scene, give the novel an authentic '80s feel. Discover: A wise and talky tour of the angst specific to a Cold War army brat. Free-spirited Cam moved to the 'burbs so Aubrey could get a better education, but as a proud lactation consultant, she doesn't fit with the local ladies who lunch. Fortunately, her daughter has been the proverbial "good kid," grinding out top grades and staying out of trouble. Unbeknownst to Cam, Aubrey has had it with her straight-edge ways. She is sick of being a band geek and waiting for "real life" to begin. On a stupefyingly hot day at band practice, Aubrey faints en route to get water and is revived by the quarterback hero--on whom she then vomits. He is Tyler Moldenhauer, and he's interested in her. Then, just as Aubrey believes "real life" is beginning, her long-lost father contacts her on Facebook and "real life" kicks into high gear. Discover: A wise mother-daughter saga including conflict about college attendance, a boyfriend, an absent father and a mother's desire to raise her child right. As the United States and its allies grapple with long-running conflicts overseas, it is not surprising that some authors have turned once more to the Great War and its effects not just on national psyches, but on individual ones as well. In the mystery genre, Anne Perry and Jacqueline Winspear have approached that war and its veterans with modern sensibilities and modern research capabilities. Now a British debut novelist, Elizabeth Speller, has added a polished puzzle of her own: The Return of Captain John Emmett. Laurence Bartram is a veteran whose wartime horrors were compounded by the homefront deaths of his wife and newborn son. He's a bit adrift, so when an old school chum and fellow combatant's sister contacts him to ask if he might make some inquiries into her brother's apparent suicide--shellshocked Captain John Emmett appears to have shot himself after fleeing a countryside convalescent home--Bartram jumps at the chance of something to do. Discover: This deceptively quaint book, set in England after the Great War, is all about how soldiers return and are--or aren't--reintegrated into society. Steal the Show is the second novel featuring PI Willis Gidney, ex-cop, adoptee with a troubled background, jazz lover, aikido adept (which surprises villains, who sometimes deem him "chubby") and a cynical/romantic "man of honor" in the best Spenser tradition. Kaufman juggles an impressive number of plots, never dropping one: Will Willis defeat the animus of Florence Walters, caseworker with the DC Adoptive Services, and be able to adopt his beloved Sarah, the infant he pulled from a burning house? Will he be able to keep his relationship with Lilly McClelland, in spite of personal and interpersonal stresses? Will he be able to divine the murky connections among Rush Gemelli (who blackmailed him into a job); his dad, Chuck Gemelli, head of the Motion Picture Alliance Council; ex-FBI agent Longstreet; Draper Kane, ex-Gemelli partner in an earlier venture? Will Gidney be able to protect Chuck and his new movie-to-theater transmitting software, unknown to all but Rush? Will he continue to outmaneuver attempts of various gangs to kill him? Discover: The complex postracial world of PI Willis Gidney, a completely original detective. Ted DiPaulo, a Toronto criminal defense attorney partial to high-profile cases, admits that "nothing would make him happier than running a murder trial he thought he could win." In this rousing courtroom thriller in the tradition of Scott Turow, Ted gets almost everything he loves most. One sultry August morning, Samantha Wyler unexpectedly becomes Ted's client. On the eve of their divorce trial, Samantha's husband, Terrance, was stabbed to death in his kitchen. Samantha tells Ted that she had been in the house after the stabbing; she also confides that she was angry when she arrived at the house. Samantha had motive and opportunity to kill, but she claims that she didn't murder Terrance. Given these and other damaging facts, Ted yields to pressure from opposing counsel Jennifer Raglan (whom he trained) and the judge to have his client plead guilty to lesser charges in order to avoid possible conviction of first-degree murder. Robert Rotenberg, a Toronto trial attorney and author of Old City Hall, brings authority and authenticity to the strategies and negotiations that lead up to such a plea, deftly showing how they can be compromised. With a winningly sardonic style, Rotenberg poses the thorny questions of where justice lies and who ends up pursuing truth. Discover: A vastly satisfying legal thriller packed with suspense, surprise turns, family drama, police intrigue and lawyers who live to win. We know some things to be true: Robert A. Heinlein recruited fellow science fiction writer Isaac Asimov to work in a research lab at the Philadelphia Navy Yard during the Second World War. There is a persistent rumor associated with the Navy Yard--the alleged disappearance and reappearance of the USS Eldridge in the "Philadelphia Experiment" of October 1943. Earlier that year, L. Ron Hubbard was relieved of his U.S. Navy command after a shooting incident in Mexican territorial waters, and was also involved with Jack Parsons, a pioneering member of the American space race program and one of the nation's highest-ranking occultists. And the publication of "Deadline," a short story written by Cleve Cartmill, led to a federal investigation into the possibility that science fiction writers were leaking atomic secrets to the enemy. Paul Malmont (The Chinatown Death Cloud Peril) takes all these historical tidbits--along with some of the legends about Nikola Tesla--and bundles them into a rollicking novel in which pulp fiction writers become real-life adventurers. Sure, the story tweaks the historical record in a few places, but it's clear readers aren't meant to take all of this too seriously as the plot becomes increasingly baroque, with more than a few ingenious twists along the way. Discover: A rollicking novel in which pulp fiction writers (Asimov, Heinlein and Hubbard, to name a few) become real-life adventurers in order to defeat the Nazis. Blame our current obsession with numbers on 13th-century mathematician Leonardo Pisano, also known as Fibonacci. Leonardo authored the first general mathematics text, called Liber Abacci (The Book of Calculation), and introduced the European masses to a new way of doing math, using the universal 0 to 9 symbology developed by the Hindus and Arabs. It was a pivotal moment in history at a time when finger counting and Roman numerals were the norm, and accounting practices were more dubious than some of today's creative accounting. Just as Leonardo brought modern arithmetic to Renaissance Italy, Stanford professor Keith Devlin brings the story of Leonardo back into sharp focus in this long-awaited tome. Devlin makes the genius (or foresight) of Leonardo easily understandable, as would behoove a fellow whose specializes in teaching and communicating mathematics in digestible chunks to general audiences. His 2007 Carl Sagan Prize for Science Popularization proves the point, as do his 28 books and role as the "Math Guy" on National Public Radio. Leonardo's gift lay dormant for hundreds of years until Laurence Sigler translated Liber Abacci in 2002. Leonardo's place in history was now confirmed; his contributions extend beyond the mathematical sphere, forming the basis of modern banking and bookkeeping systems employed in business today. Discover: A wonderful and vivid tale about the father of modern mathematics by Keith Devlin, National Public Radio's "Math Guy." Emmy, the remarkable human girl with the ability to shrink as small as--and into the form of--a rat (first introduced in of Emmy and the Incredible Shrinking Rat) returns for a third high adventure. Raston, Emmy's rat companion, can turn people into rodents with his bite, while his sister, Sissy, gives the antidote with her kisses. Miss Barmy, Emmy's former evil nanny who must now live out her life in the form of a rat, hatches a diabolical plan with her sidekick, Cheswick Vole. They dupe Emmy and her friends into staying with Emmy's frail, elderly aunts. The situation at the aunts' appears to be quite dire, and the children pitch in to help. Hoodwinking a bat family into capturing Sissy, Miss Barmy then forces her to make skin patches imbued with her kisses (which Jane requires to maintain her human form). One night while searching for Sissy, Emmy and her companions come upon a riverside tavern. They discover that the frowzy rat singing at the bar and nursing a ginger beer is actually Raston and Sissy's long-lost Ratmom, whose magical tears prove both irritating and useful with their fountain-of-youth–like powers. Discover: A fantastical adventure starring Emmy and her friends, human and rodent alike, with a healthy dose of wit and a touch of pathos. In John Grandits's (The Travel Game) humorous look at a child's fears about riding the bus on the first day at a new school, Kyle gets advice from his older brother James on specific things to avoid in order to survive the day. As soon as he gets on the bus, the rule breaking begins. Kyle doesn't mean to break the rules, but he inadvertently does, with unexpected results. Fortunately, Kyle is able to think on his feet, and makes the best of the situation. In Kyle's Walter Mitty–esque imaginings, his fellow bus riders take on the characteristics of animals. Kyle feels "like a zebra at a lion party"; the big bully sitting next to him looks like a grizzly bear; and the girl who befriends him looks like a snake--adding to the comical unraveling of his ride to school. After breaking all the rules and surviving, Kyle learns that big brother James might not know everything after all. 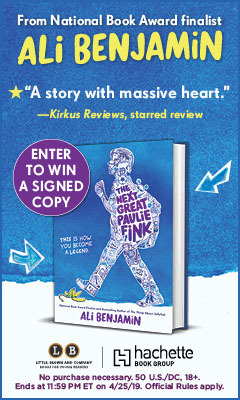 Discover: The humorous adventures of a boy's first school bus ride.